Almost four years after the UPA government found itself entangled in a controversy over using the poverty line for development programmes, the present National Democratic Alliance (NDA) government is likely to face the next round of consequences. The government, on Friday, released the Socio-Economic and Caste Census. The census was initiated in 2011 when a debate erupted over the unavailability of proper data on India’s poor households and their caste composition. The immediate aftermath of this census will be increased political demands to use this data to target development programmes. Looking at the data, it is clear that the number of below poverty line (BPL) households will go up substantially. Moreover, the NDA government has not yet accepted a poverty line despite suggestions by the Planning Commission (now NITI Aayog). The census report will trigger a demand for a new poverty line to immediately identify poor households. The political context adds urgency. Assembly elections are due later this year in Bihar and the end of next year in West Bengal. The two states are important from the perspective of welfare programmes as they account for a significant number of BPL households. The Central government has been engaged in an intense debate with state governments over the number of BPL households. States have declared that up to 90 per cent of their households are BPL while the Centre, which is tasked with providing for so many households in the enhanced budget, has been capping the number at 50 per cent. The data released today will only lead to more debates on this issue because of a significantly different number of BPL households. With the Central government now giving more fiscal autonomy to states, the new estimate of BPL households may impact the Centre-state relationship in more ways than one. Of 180 million rural households, 38.27% of landless households derive a major part of their income from manual casual labour. 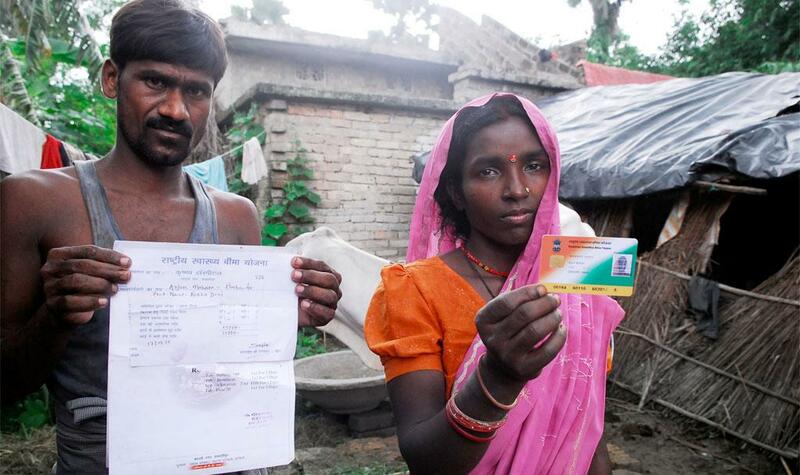 2.73% of households with non-agricultural enterprises are registered with the government. 4.58% of households pay income tax/professional tax. 0.37% of households are destitute or living on alms. 5% of households have salaried jobs in the government. 1.11% of households have salaried jobs in the public sector. 3.57% of households have salaried jobs in the private sector. 12.83% of household heads are female.